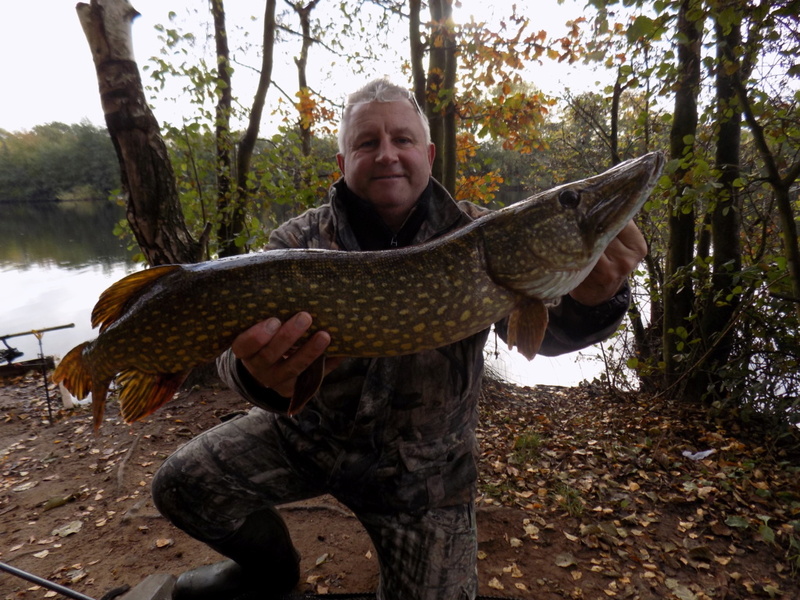 Back on my lightly fished Pike water for a morning session today. 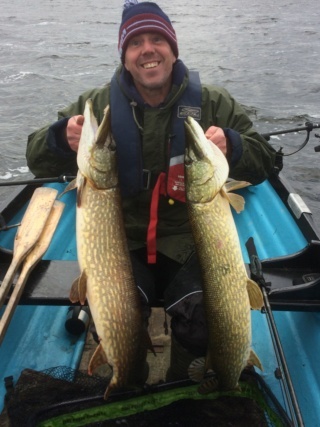 Managed 3 fish @ 13Lbs 2oz, 9Lbs 10oz & 9Lbs 1oz and had a hook pull on another. 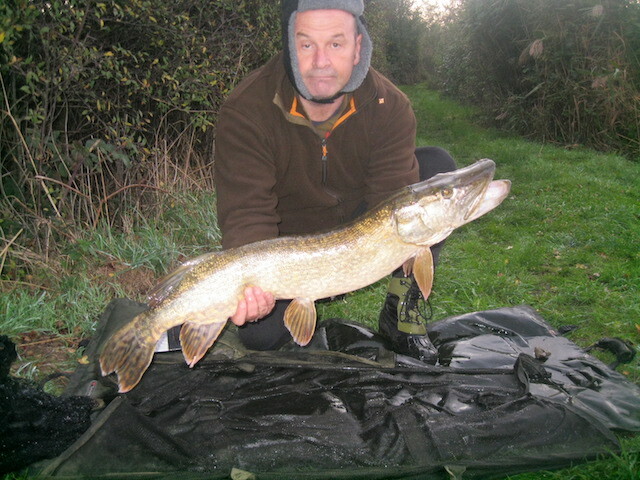 David Wynne wrote: Back on my lightly fished Pike water for a morning session today. Managed 3 fish @ 13Lbs 2oz, 9Lbs 10oz & 9Lbs 1oz and had a hook pull on another. He seems happy enough, 4 PBs in 3 days. Some nice fish here Lowdouble. 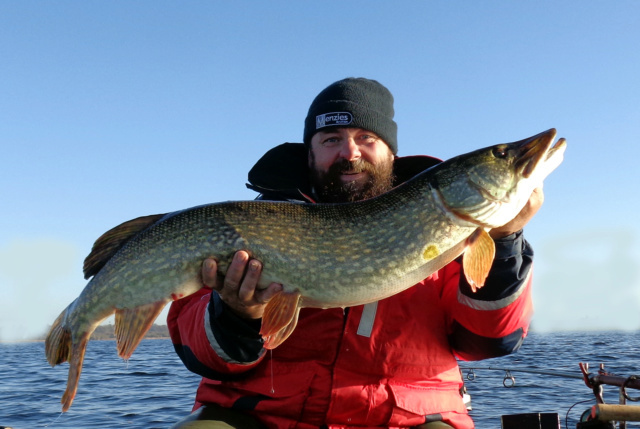 That's a nice fish pikeman did you weigh it. I was out yesterday and had my first blank of the season. nice kipper and welcome to the forum. Just back from a 24hr trip, just the 1 at 18lb on the nose. Pikemon that's a belter mate what did she weigh ? 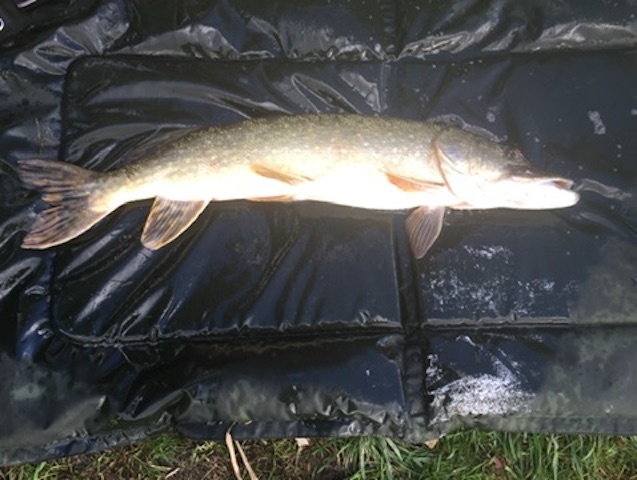 Looks like most on here are into some fish , the start to the season is looking good .... fish coming out from the off. 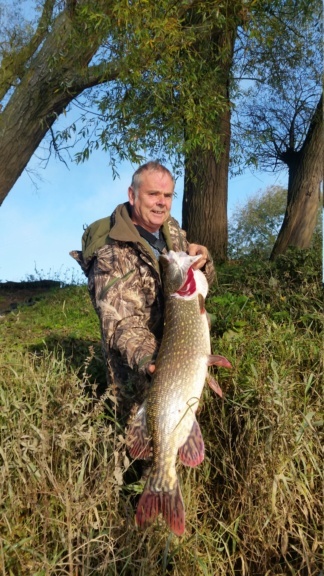 Lets hope the weather does not go down hill, to fast , like minus 10 for weeks , lets hope we all can get out without a big freeze up these coming months..... well in... to all that's catching. 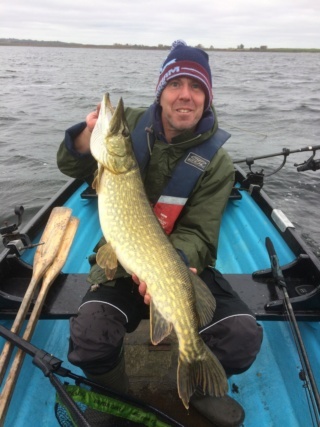 Some great fish being caught lads, Well done on a great start to the season We ended the last day with 2 jacks and yet another mid double at 15lb 4oz, but She was 20lb long!!!! 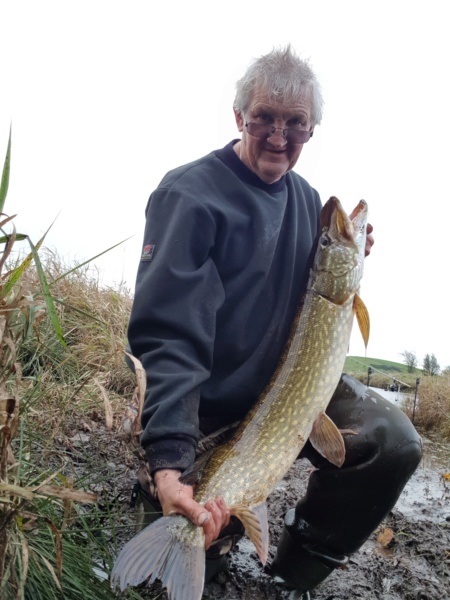 definitely well over 100cm, An old fish going back in weight, but she still fought well. 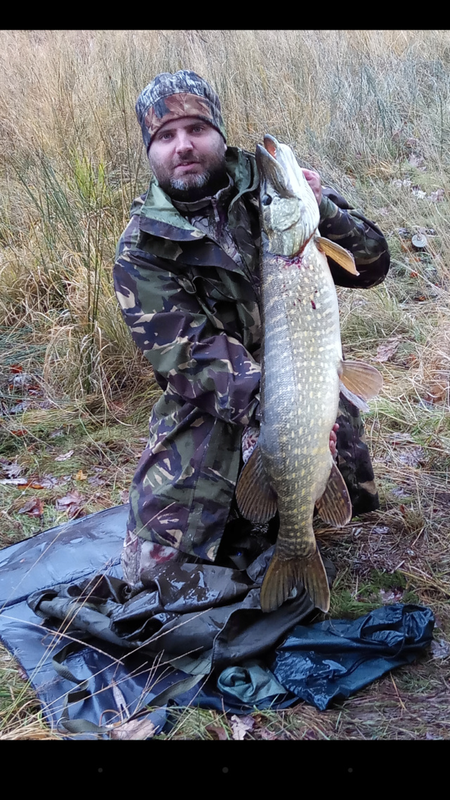 one small pike and two dropped runs. I will be back up there in late Nov/early Dec if anyone fancies a trip down. We where out yesterday it was very slow six rods eight hours just two jacks and two missed runs but at least we didn't blank.